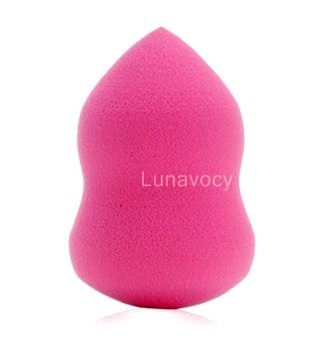 The Pink Blender Sponge is perfect for a flawless finish to your foundation. Apply foundation like a pro with this latex free sponge. It's pointed edge is perfect for blending hard-to-reach areas. Its suede texture is sensual to the touch and its unique curves fit the contours of your face, leaving your make up dazzling and undetectable. Use the pointed end for blending in around the nose and under the eyes. The rounded end for the rest of the face. Soak in a bowl of lukewarm water for approximately one minute or run under a warm tap until the sponge expands to around twice it's size. Squeeze it until just damp. 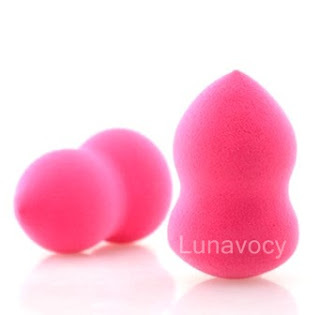 Then apply your favorite foundation using pink blender sponge. Best results are achieved by using a stippling motion (like a gentle dabbing or patting motion) on the face. Wash after use in warm (not hot!) water and a little brush shampoo or sanitizing/antibacterial cleanser. Leave to dry in a clean airy place. Tip: NEVER wash or soak your sponge in hot or boiling water! If used daily, we recommend washing your sponge once a week with a mild cleanser. Baby shampoo or any low sudsing soap will work. Rinse well and air dry. Watch Goss's video, one of my favorite makeup artist on the internet. 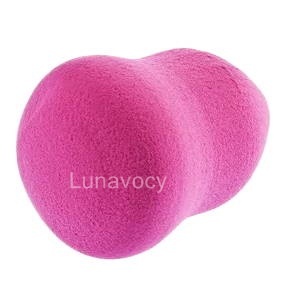 He was mentioning that the pink sponge is amazing, tougher and more durable than Beauty Blender which means that they are less to breaking. Most importantly, it is so much cheaper than Beauty Blender! Pictures shown below are the actual product photo.